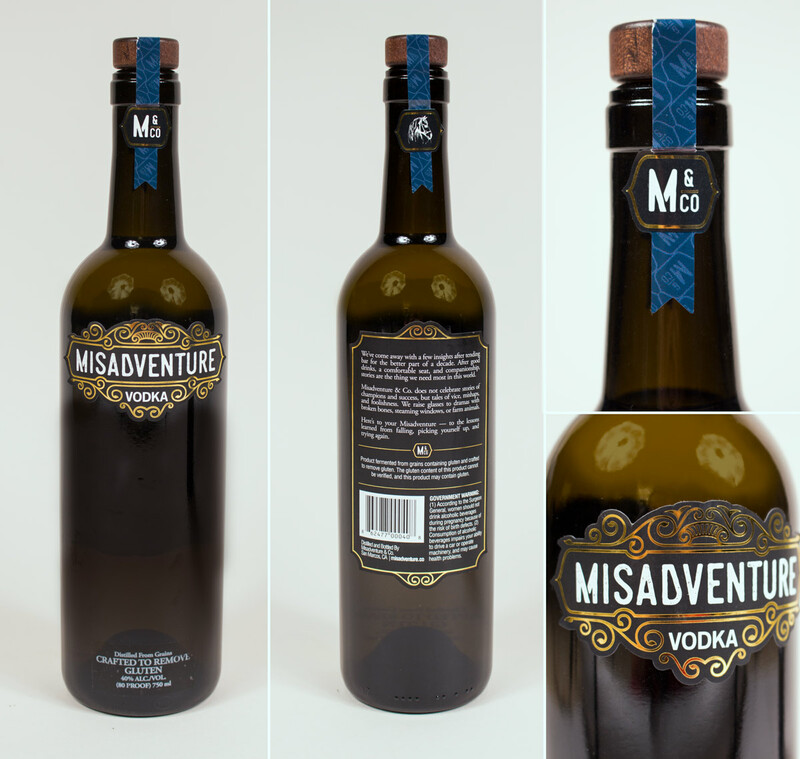 The Cowlick Appeal - Misadventure & Co.
Misadventure & Co. is a distillery based in North County, San Diego that originated from the two founders' garage. 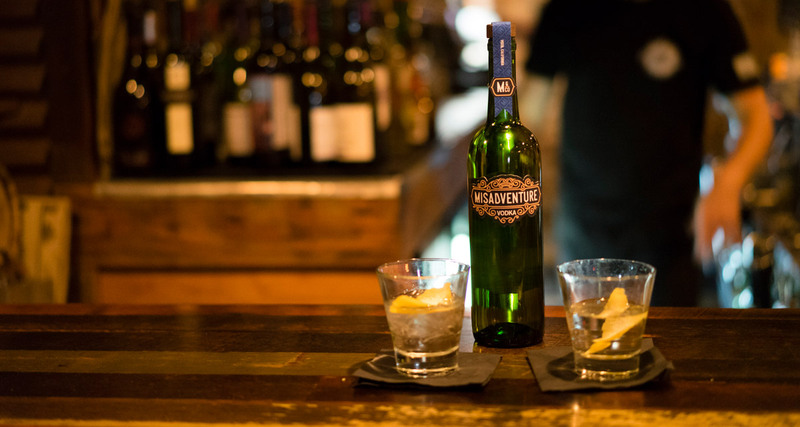 Driven by their passion for bartending and craft spirits they wanted to celebrate tales of vice, mishaps, and foolishness. 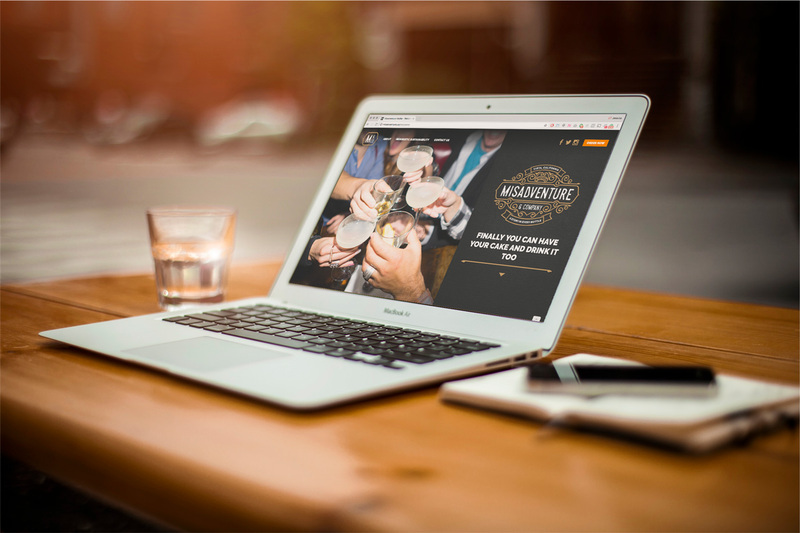 To create a name and brand that honored the spirit of sharing stories and perseverance. 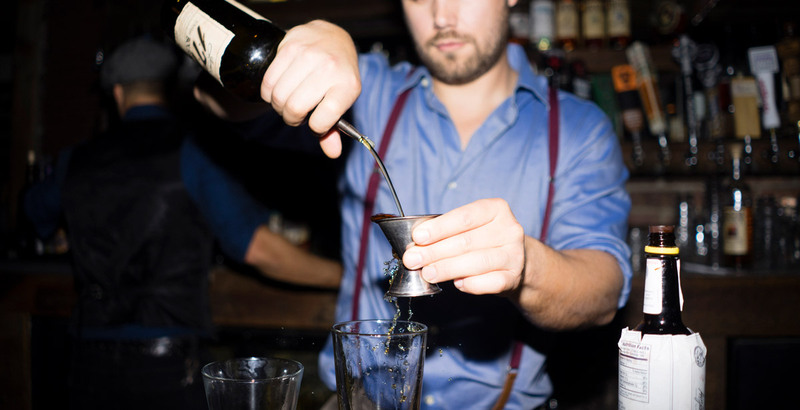 Create a name that reflects the type of stories people usually share while drinking. To help supoprt the name, we paired it with personal family photos, a high end color scheme, and cheeky content. 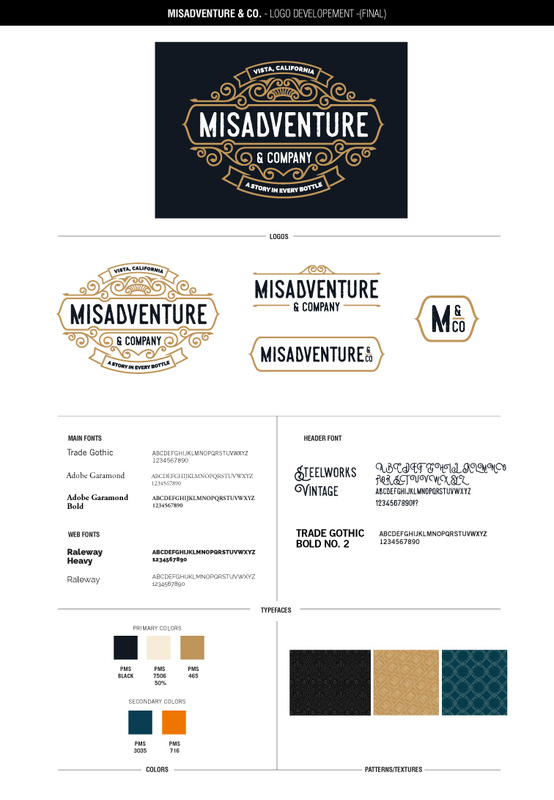 We went through a number of different concepts for Misadventure & Co. We explored simple typography – literally playing on the word "Misadventure", symbolism, and ornate compositions inspired from art deco and art nouveau. The overall brand colors are very simple and sophisticated with black, cream, and gold as the main colors. 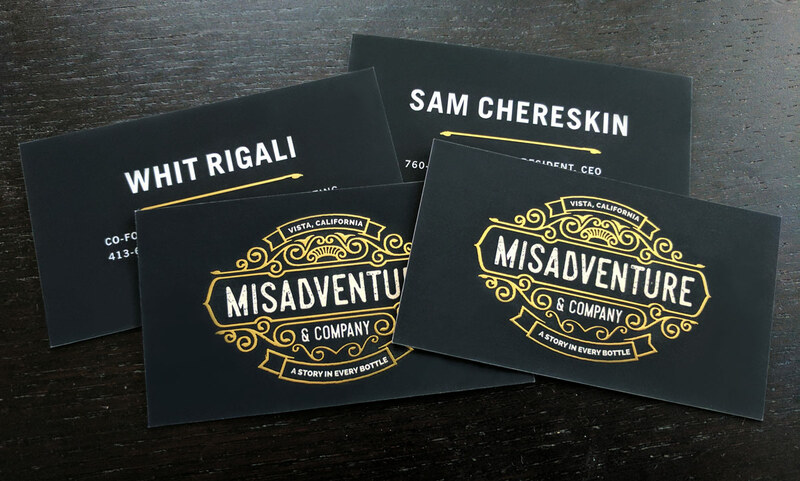 While we wanted to make it simple, Misadveture & Co. still needed a pop color or two to reflect its quirky personality. So, we decided to integrate the blue and orange. As a brand rule, the orange would primarily be used on the website for the call to action buttons. "Much like a sculptor lets the masterpiece reveal itself from a slab of stone, The Cowlick Appeal puts in the extra time and effort to help you find the hidden brand within your company." 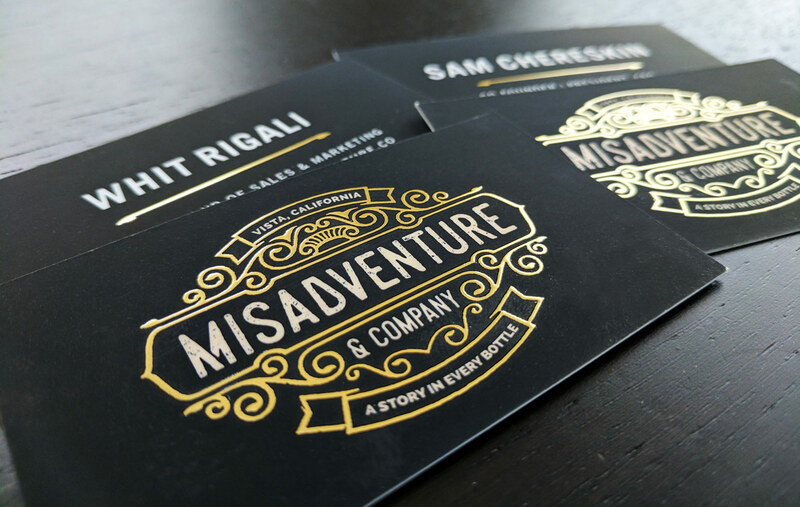 - WHIT RIGALI, Co-Founder, Distiller, Vice President of Marketing & Sales, Misadventure & Co.
To continue the gold theme and sophisticated look we added gold foil to the business cards. First impressions are everything, and we think this is golden! 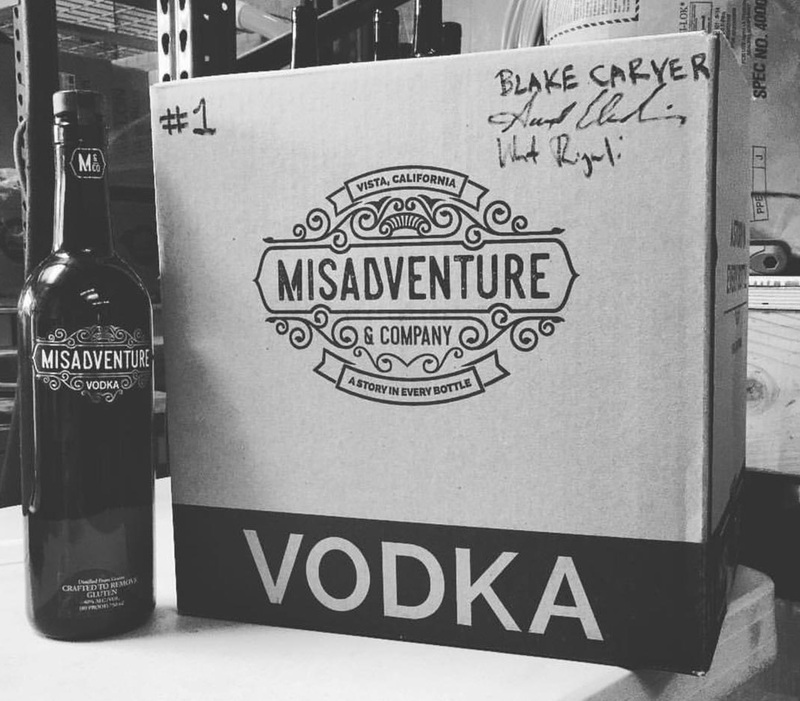 Misadventure & Co. craft their vodka in a unique way, so we decided to create an infographic that easily explained their special process and how it impacts the environment in a positive way.